"CRM On-Site or On-Demand? 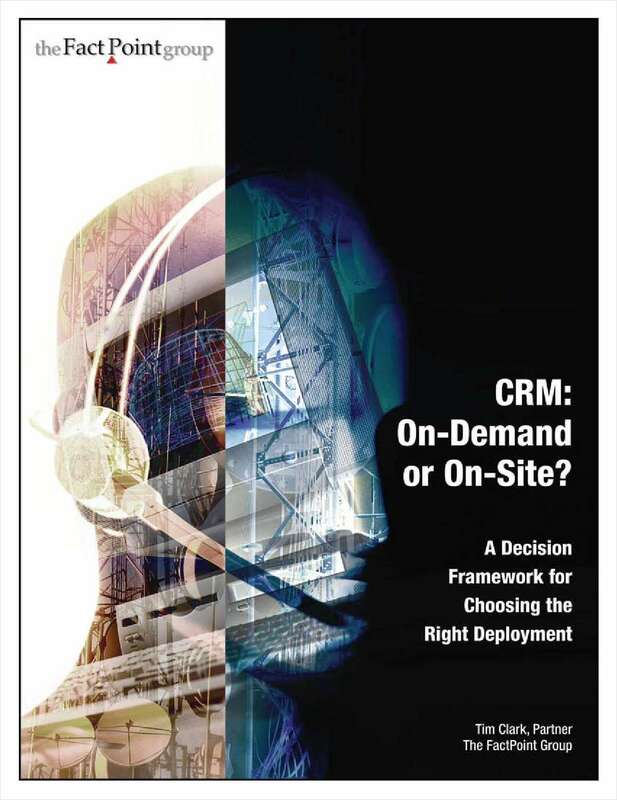 Choose the right deployment option"
Free White Paper: "CRM On-Site or On-Demand? Choose the right deployment option"
Learn how to determine if a hosted CRM system or an on-site CRM solution is right for your organization.